Curiosity got the better of me! When I walked past this set up in the base area I really wanted to know more, so I went and hung out with Gina, representing The Netherlands, to see what it was all about. 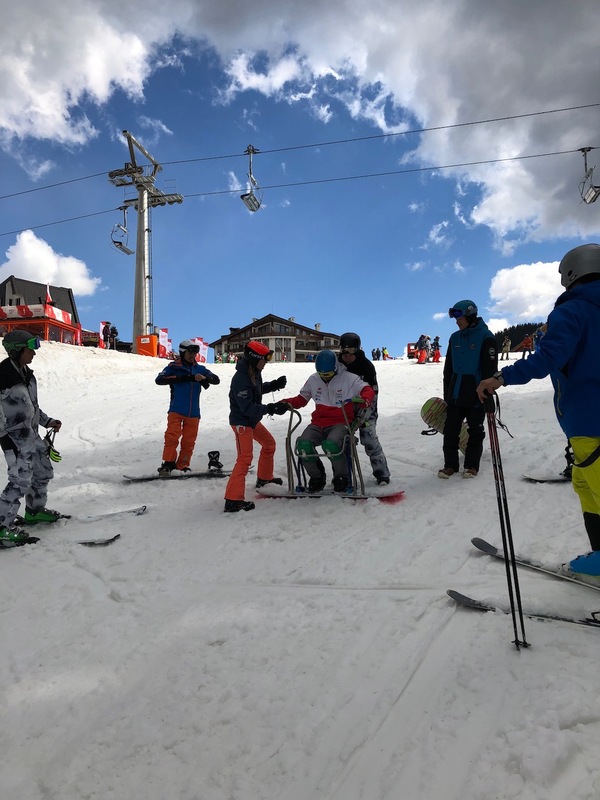 Gina’s goal for the clinic was straightforward – to show us and explain to us how to use the equipment along with some simple ideas to start teaching with. 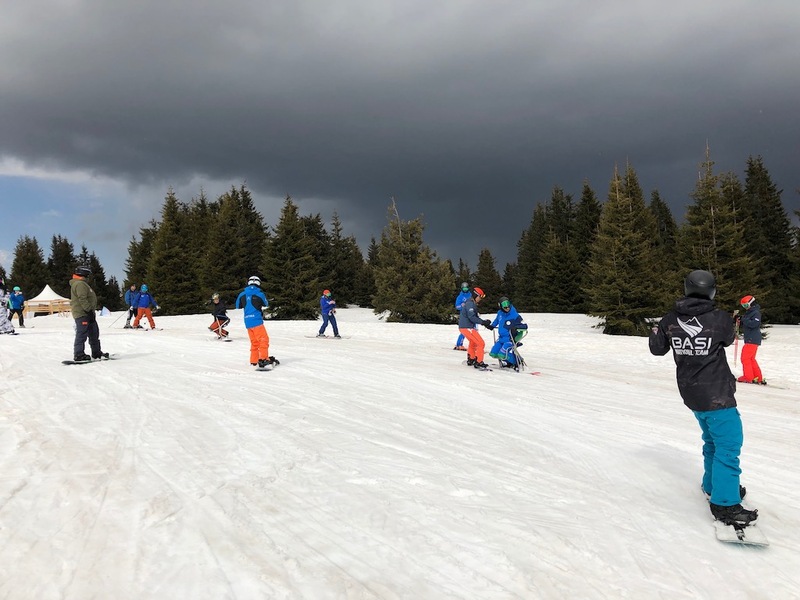 We lucked out with a super small group of four, so we enjoyed lots of hands on experience and even some practise time with the sit snowboard equipment. 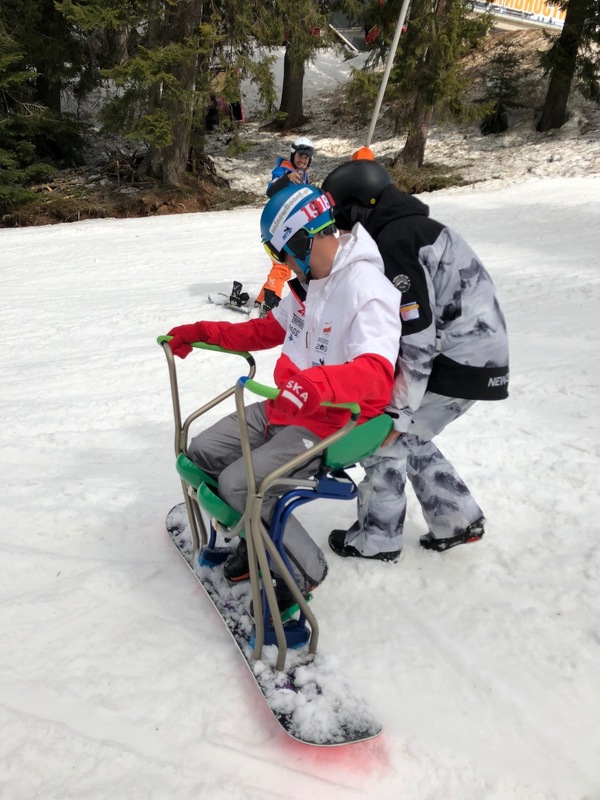 Gina has grouped her love for snowboarding with her experience in adaptive snow sports and her knowledge in Design Engineering to create this equipment. She started her research and development in 2010 and since then has seen her first sales of a production version in 2015. Her thought process was to create a way to manipulate the snowboard to create the same outcome on snow. 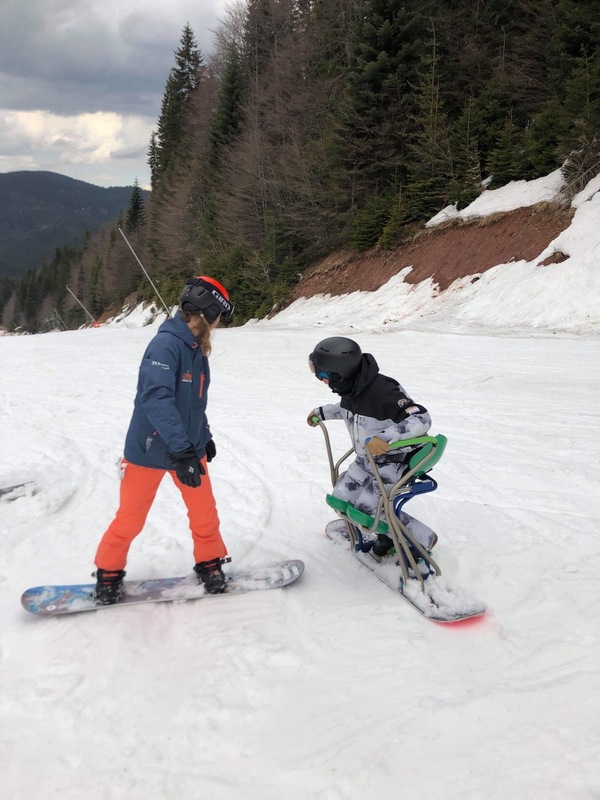 As far as teaching sit snowboarding to students, you simply work with the limitations your student has and use a step-by-step progression to help get them turning. The progression isn’t something Gina focused on but with some conversation and questions it started to sound like a progression you might see in a regular first timer snowboarding lesson. I was a little nervous to get into the set up and put myself right back into learning something very new so my first question was “how easy is it to catch an edge?” to which the response was “as easy as regular snowboarding”. So with that out the way, I started to try and convert what I currently know about snowboarding to get this thing to make some turns. With some trial and error, some great edge catches and some determination I got some turns down and was able to fully appreciate the familiar enjoyment of sliding around independently on snow. I am amazed at the opportunity this equipment opens up to those in need and I was humbled by Gina’s dedication to creating it. I enjoyed the clinic so much that I suggested the rest of the team attend in the afternoon as it really isn’t something you get to see and be apart of everyday. Overall, the take away for me was to appreciate that the ability to manipulate your equipment can be the difference between being able to enjoy our sport or not be able to participate at all. This really got me thinking about what could be possible in our world of teaching regular snowboard lessons. What’s clear is that with time and real consideration it’s possible to create new ideas and equipment with real benefit. 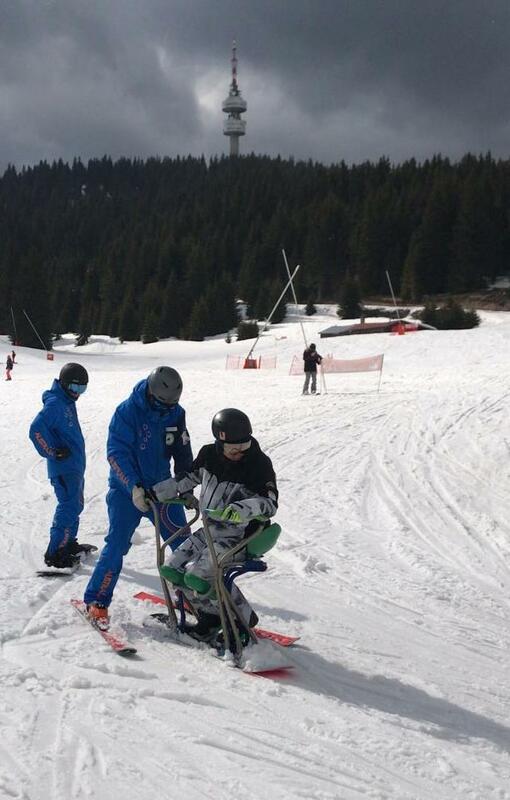 Huge credit to Gina in creating such an incredible set up and giving others the opportunity to enjoy snowboarding. If you want to know more about her journey and her work please check out her website. Was this primarily directed towards adaptive guests or something innovative for able bodied riders?